“An apple a day keeps the doctor away” – Your mother probably told you that, and she was right! It’s amazing how well we can prevent disease through simple nutrition alone, even during flu season (yes, even during THIS flu season!). Here are some scientifically proven snacks that have the power to prevent – or at least shorten the duration – of colds and flu. Give your body the weapons it needs to fight! 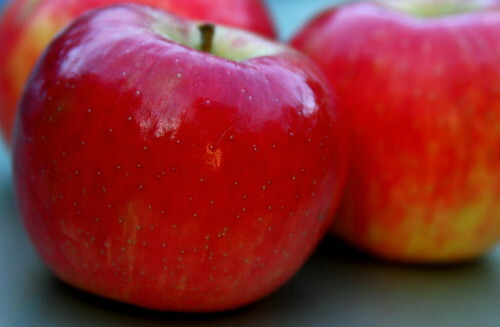 Apples not only have Vitamin C, they also contain flavanoids (which help prevent heard disease), antioxidants (which prevent cancers), phenols (which lower bad cholesterol and increase good cholesterol), phytonutrients (prevent neurodegenerative diseases), and antibacterial properties that help prevent tooth decay. Cremini, portobello, and white button mushrooms are sources of beta-glucan – a dietary fiber that reduces risk for disease and infections by activating the immune system. Barley is another great source for beta-glucan. Try sauteing them with some garlic and olive oil for an anti-bacterial and antimicrobial boost. Tea with honey not only feels great on a sore throat, it packs an antibacterial and antiviral one-two-punch. 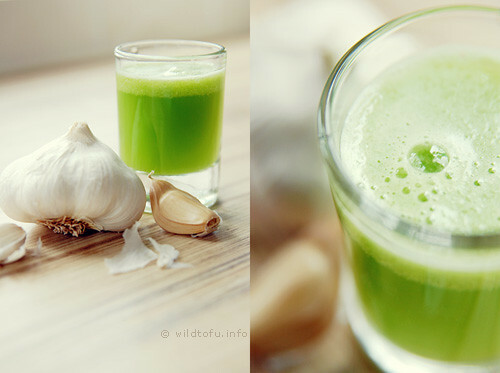 Kick it up a notch by adding a shot of brandy, lemon, and a slice of fresh ginger (antibacterial properties!) for some added cold comfort. Either way, you’ll also benefit from tea’s antioxidants. Chicken noodle soup is an anti-inflammatory, especially when it comes to inflammation of the nasal passageways. In fact, Dr. Irwin Ziment at the UCLA School for Medicine found that chicken soup contains “drug-like agents similar to those in modern cold medicines,” even one that’s commonly prescribed for bronchitis. No, this title isn’t about your state of being two weeks after making your New Year’s Resolutions (you’ve stuck to them like glue, right?). It’s the title of a 2010 documentary (which you’ve probably heard of) that follows Joe Cross for 60 days as he does an extended juice fast to regain his health. And, he has a lot of health problems. Starting the film, he weighs in at 309 pounds and is on steroid medications to treat a rare autoimmune disorder. The drugs, of course, were only treating the symptoms, not the underlying issues, so Cross loads up his car with a generator and a juicer, fruits and vegetables, and takes off on a cross-country road trip around America for two months filming a documentary on health. Vegetables, fruits, nuts, beans, and water. That’s it. Yes, he loses a lot of weight. But the most interesting part of Fat, Sick and Nearly Dead is how he – and the truck driver he meets and gets started juicing – are able to go off their medications entirely. They heal themselves through nutrition and exercise alone! Both men’s juice fasts are doctor-supervised, and the morbidly obese truck driver ended up losing 91 pounds in 60 days. That’s a very long fast, but even if you want to try a shorter fast, you can accomplish a lot. After just 10 days, he had lost 30 pounds. Of course, if you’re within a relatively healthy weight range already, you may not see such dramatic results – which is a good thing. Whether or not you want to commit to a life of raw plant-based foods and juice, this is a fascinating film that shows us just how much power we have over our health and wellness. And – it’s inspiring. The sales of the Breville juicer Cross uses went sky high after this movie came out! The first few days of a juice fast are tough, especially when your social life revolves around eating. It can feel very isolating. But once you blast through the first few days, your energy increases and you start to look and feel better than ever. I’d say that’s worth it, wouldn’t you? Liquids are more rapidly absorbed than whole foods, which means the micro-nutrients in the juiced vegetables and fruits are more readily available for the body to use. Forget the juice at the grocery store – by the time it reaches the shelves, it’s been so processed that it’s practically sugar water. Curious? Try a 3-day juice cleanse for just $195. We do the hard work (and the cleanup) for you. One of the key facts about juice cleanses and fasts that don’t get as much press is the issue of re-bounding. You know how it goes – you start a diet, or one of those “fat flushes,” and you lose a little weight, but once the diet ends you gain the weight back. When you fast on micro-nutrient-rich fruits, vegetables, nuts and beans for a week, your brain chemistry that craves all those bad-for-you foods changes. You’ll find yourself able to control cravings better than you ever have before for long-lasting results. Just don’t spike your blood sugar with a celebratory donut, okay?